We proudly announce the formation of an evolutionary new kind of city government in Los Angeles, created and run by its citizens. The purpose of this "Shadow Government" is to reclaim the city from it's own government, and return power to the people of L.A. The Shadow Government will work to stop the extraordinary violations by government and the courts of our natural rights as human beings, and defend these rights for all people. It will protect our citizens against any abusive agents of the official government. 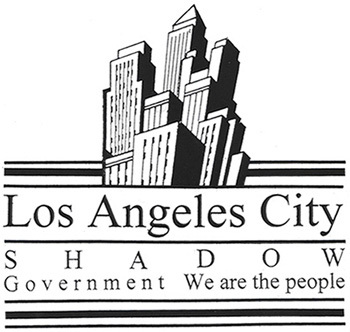 Because of the tremendous loss suffered by the city of Los Angeles with the election of old-line liberal-conservative James Hahn, a man whose hands are dirty in a civil war against minorities and young men, we have no choice but to start this Shadow Government, within the shadows of city hall. This government will expose corruption at all levels in the city, and shall be made up of you, the people of Los Angeles. We invite you to participate. We invite you to turn the city upside down. We invite you to form a brand new city of angels. We invite you to create a new economic zone, and a new way to govern ANY city. If you are a writer, if you are a young journalist who hasn't even graduated, if you are a government employee and you see the mess that we are in, we ask you to participate. If you would like to become the head of YOUR own city department, you can do that too. Let's throw these bums out, let's stop the thievery and let's tell the people what's going on down at city hall. Let's have some fun, let's build a great economic city that trades with the world, and creates a new economic model for the future. Public Safety: A new dress code for our police officers? Law Enforcement Policy: Should police officers salute citizens on the street? Counterpoint: A alternative plan to Chief Park's "Stop the Violence Campaign" and James Hahn's goal to fill our schools with cops. Vice Affairs: Are bordellos good for the community? Chinatown thinks so! Here are some of the hot stories that haven't been written. Thousands of prisoners are transported needlessly every day in Los Angeles, thanks to a federal program which reimburses counties for these travels. 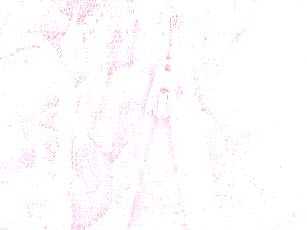 Do you know about this story? If so, please contact us. Do you have any stories about Los Angeles that need to be told? Contact us so that your voice can be heard!